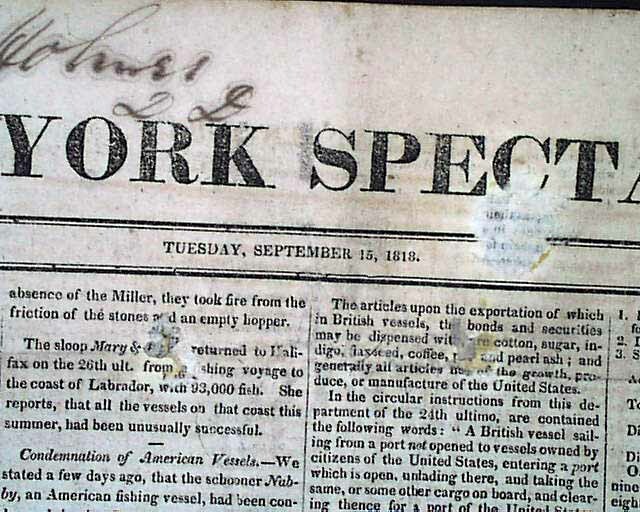 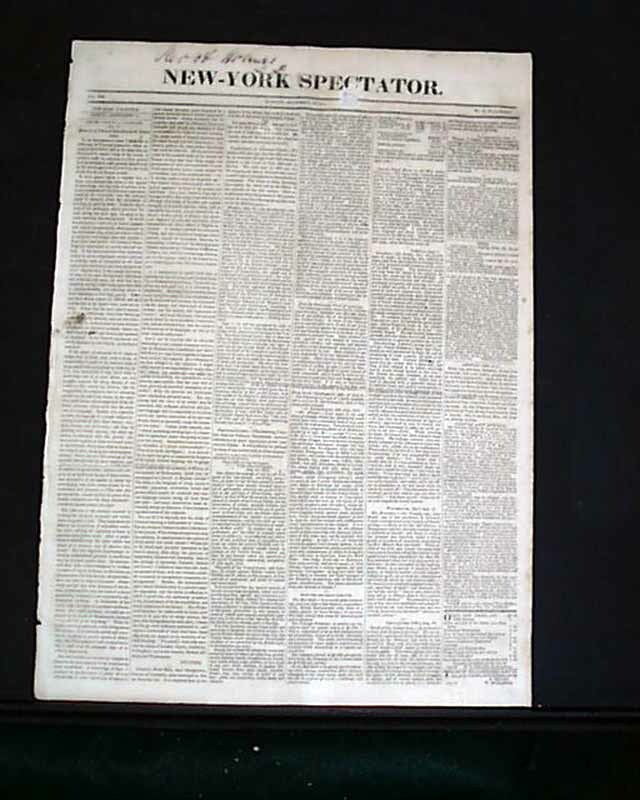 The bottom of the front page has: "Death of Col. Daniel Boon" which reports that: "...early in last month Col. 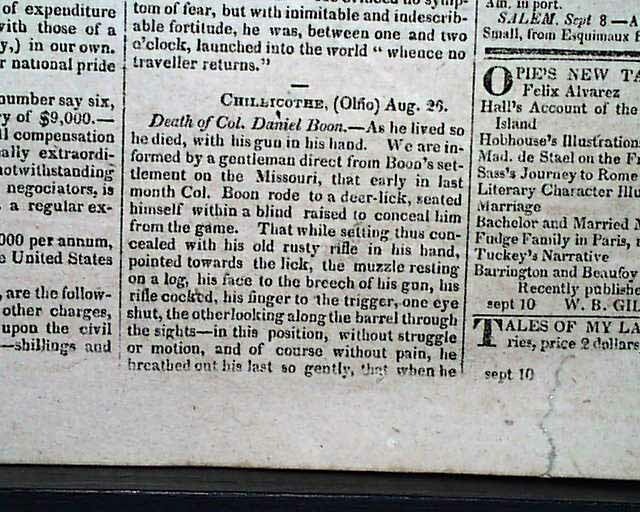 Boon rode to a deer-lick...while setting this concealed with his old rusty rifle in his hand, pointed towards the lick...without struggle or motion...he breathed out his last so gently that when he was found next day...he looked as if alive with his gun in his hand, just in the act of firing." 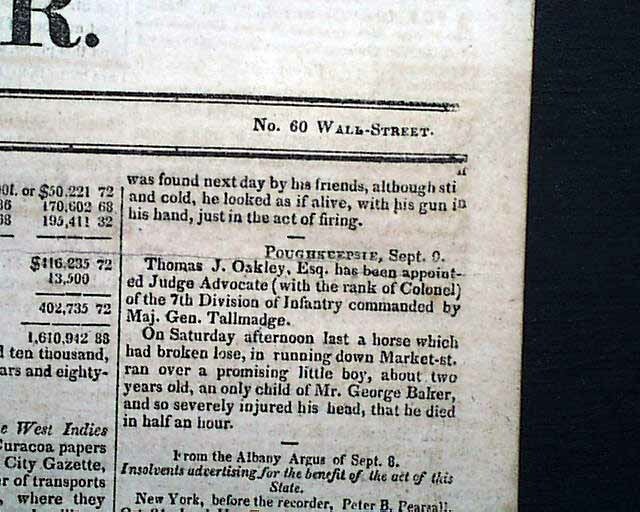 This report was totally false, as Daniel Boone would not die until more than two years later.